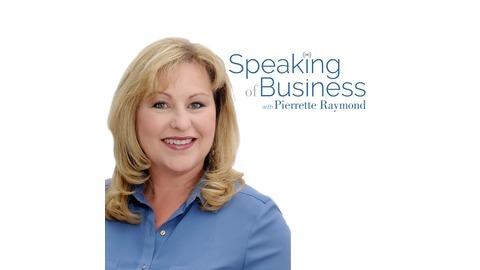 Welcome to Speaking of Business, where COOs and 2nd in Commands come for guidance, support, tips and strategies to grow their businesses, improve their operations, and build world-class cultures. 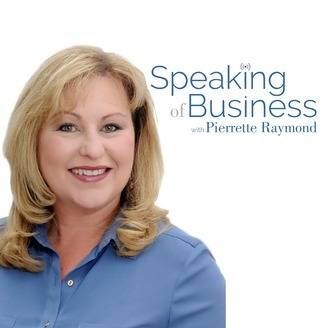 Your host is Pierrette Raymond – a multi-business owner, COO Coach and Mentor, and founding franchise partner of 1-800-GOT-JUNK?. She has been in the role of CEO and COO and knows what it takes to grow businesses, run profitable operations and build world-class cultures. Are you ready to take your business, your operations and and your people to a whole new level? Let’s start Speaking of Business. Allyson Chisnall is the CFO & COO of MediaStyle - an impact communications company that serves clients who are focused on making Canada a better place through their campaigns, concepts and ideas. In high school, Allyson was told she should not go into accounting because women should not be accountants, this sparked her "oh yeah, watch me" attitude. Allyson's biggest challenge at MediaStyle was adapting to working with creative individuals and concepts where there can be many good choices as opposed to the one right way of accounting. Constantly learning to bring new systems, and checks & balances into the business to improve function and efficiency. Have a board of mentors, not just a coach. A group where many different perspectives can come together and share ideas for you as you grow personally and professionally. Connect with Allyson at: mediastyle.ca. For more Speaking of Business Podcasts visit speakingofbusinessshow.com.